Closeup of the Creation Images Getty Images. Pope Julius II commissioned Michaelangelo to paint the famous ceiling that millions travel to Vatican City to view. It took him 5 years to paint 343 figures on the ceiling. It was opened to the public in 1512. 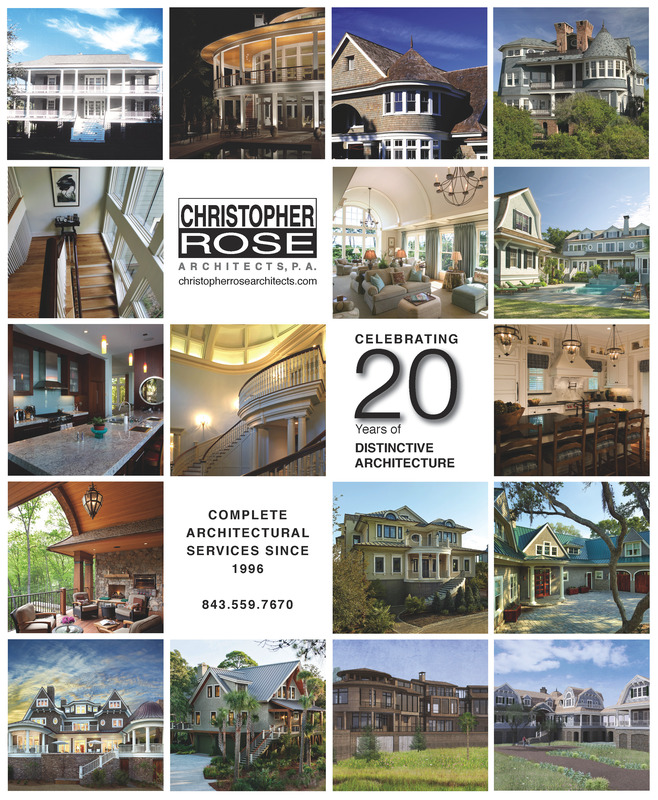 The shingle style home we designed at 75 Eugenia is featured on the Kiawah Art & House Tour Poster. The Tour is next Friday, April 8th from 1 – 5 PM. The proceeds will benefit the youth of Johns and Wadmalaw Islands through visual and performing arts. This home was built by Nolan Sires, the interiors were done by Melanie Turner Interiors and Glen Gardner was the landscape architect. Great team to work with on this ocean front home. Christopher Rose Architects would like to thank each one of our veterans and those currently serving our Country for their service. New Ad featuring projects from our 20 years of business.